A few weeks ago we went over some of the design details of the 27WON Performance Downpipe, but we didn’t get into the performance gains. Today I want to dig into those gains a bit to show you what the 27WON Downpipe is really about. 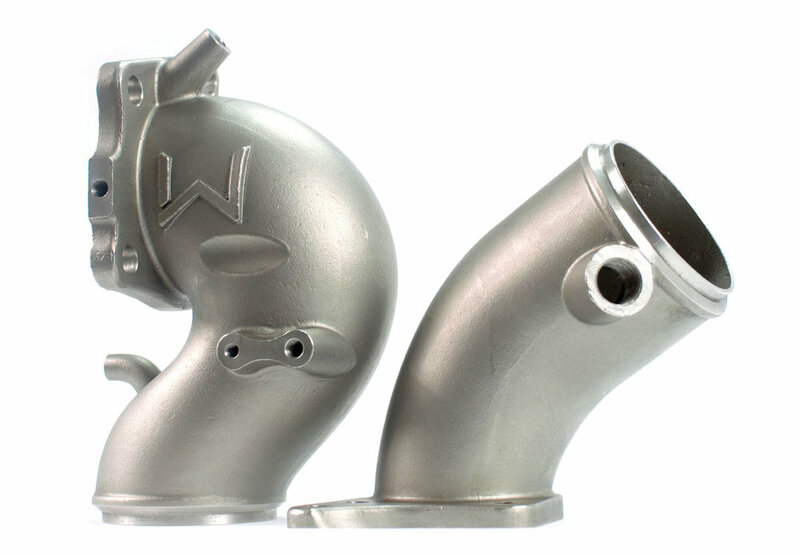 First off I want to let you know that 27WON will be offering two versions of the Performance Downpipe; Catless and with a High Flow Catalyst. 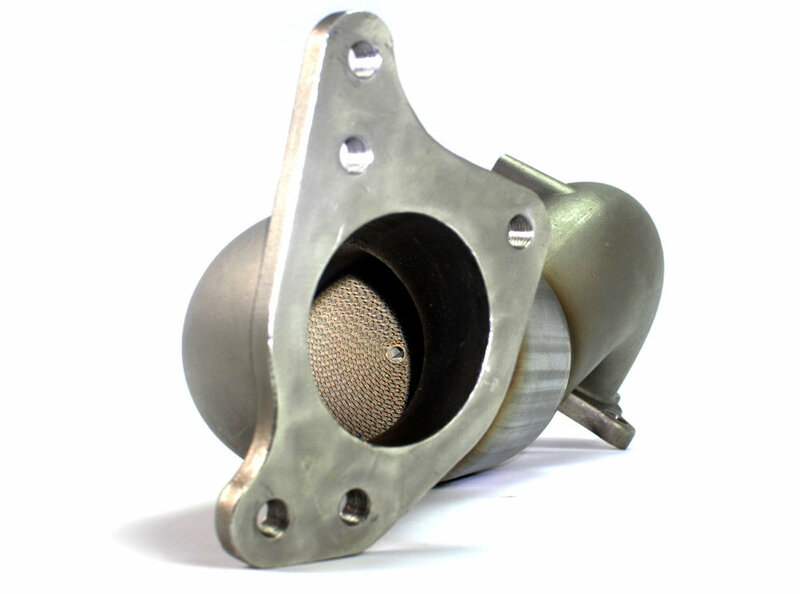 The catless 27WON Downpipe comes just as it sounds; no catalytic converter of any kind, straight 3.125” piping connecting the upper and lower cast flanges. This is your highest performance version and recommend for racing use only. Next up is the high flow catalyst version; this is equipped with a 3-way 200 cell density metallic foil substrate catalyst measuring 4” in diameter. The type of catalyst is important to the performance of the downpipe…we don’t want to remove the OE catalytic converter just to put in another poor flowing unit in, right? The 200 cell density high flow catalyst provides sufficient surface area for the catalyst chemicals to react and reduce emissions while also providing more than enough flow so as to not restrict power. I know that’s what you’re really interested in so let’s not wait any longer. Below you’ll see the before and after results of the 27WON Downpipe for the 10th Gen Civic. The Green graph shows the OE downpipe, followed by the Red showing the Catted 27WON Downpipe, and lastly Pink shows the catless 27WON Downpipe. Note there has been no tuning changes made, this is strictly a drop in performance gain. So what is this dynograph telling us? Clearly the 27WON downpipe makes power which is awesome news for all you guys and gals. Breaking it down further we can see that the catless 27WON downpipe will help get the turbo spooled up faster, somewhere in the 2000rpm to 2500rpm range. The large volume of the downpipe inlet is really paying off here. Next you’ll see substantial gains from 3000rpm to 5500rpm, with a peak improvement of 13wHP and 13wTQ! Lastly, as we expected, there was little to no gains from 5500rpm up to redline. Now before we wrap up here I want to point out one last detail that the dynograph showed us. Notice that the catless and catted 27WON downpipes have basically identical power gains? That’s due to the 200 cell high flow catalyst performing as expected; so just keep that in mind when you are deciding which 27WON performance downpipe to get for your Honda Civic 1.5L turbo.